Running back Cadillac Williams will be a free agent when the new league year begins. The former first-round pick out of Auburn could draw interest as a third-down back behind Steven Jackson with the Rams, but Buccaneers head coach Raheem Morris would like to have back in 2011. Staying in Tampa remains Williams’ preferred choice, reports Anwar Richardson of The Tampa Tribune. “Tampa is a very special place for me,” the 29-year old Williams said. “This is the team that drafted me. It’s a team that has been through the good times and bad times with me. At the lowest point of my career, the organization was definitely behind me. 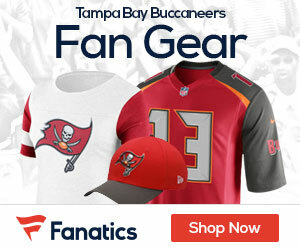 Despite having most of his 2007 and 2008 seasons wiped out by injury, Williams’ 3,677 yards and 20 touchdowns on the ground rank in the Top 5 in Buccaneers’ history. Williams’ role in the running game was reduced, with undrafted rookie running back LeGarrette Blount, a 6-0, 241-pound freight train, topping 1,000 yards after being claimed off waivers from the Tennessee Titans in September. At 5-11 and 220 pounds, Williams is far from a small running back, but his solid hands (career-high 46 receptions in 2010) and ability to pick up the blitz makes him an ideal third-down back as heads into a different phase of his career.